Tai Chi, also known as Tai Chi Chuan, is one of China's most favorite forms of exercise, and is also considered one of China's most treasured cultural legacy. Tai Chi is a proven form of exercise that can be practiced by people of all ages and health conditions. It can help to achieve improvement of physical health as well as balance of the mind. They are usually performed slowly and are designed to string together an inventory of important techniques, and to promote relaxation, as well as other foundational principles. People who practice Tai Chi find that they will become revitalized, relaxed, tolerant, stronger and healthier in both body and mind. 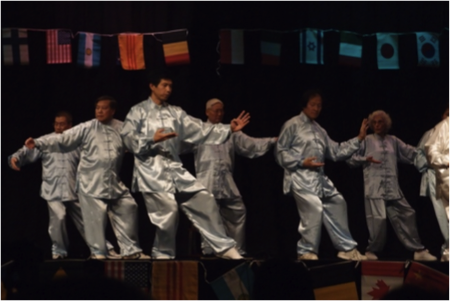 Tai Chi is suitable for all ages and sexes because it does not rely on strength, force or speeds. Due to this Tai Chi is one of its kind which brings benefits in many areas of your body. With very small amount of practice in Tai Chi you will find many beneficial effects to your health and fitness. Tai Chi can help you to relax your mind and body by helping to combat stress and strains from work or at home. It can also improve your balance, flexibility and posture. If Tai Chi is practiced properly it can improve medical conditions such as respiratory disease (asthma), cardiovascular diseases, digestive disorders and arthritis. Who is our Tai Chi teacher? 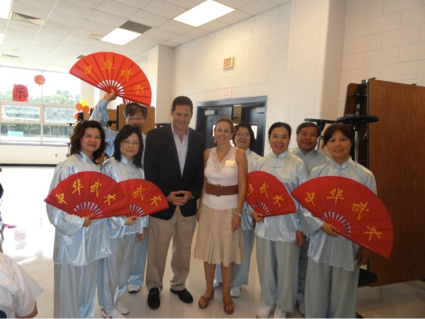 MCS’s Tai Chi teacher, Zhang Gui Fang, is a master in teaching, training, and coaching of Tai Chi and Chinese martial art. 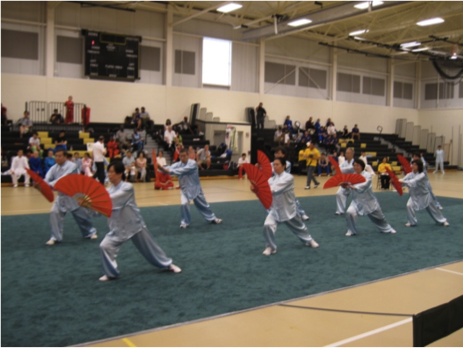 Her basic training is the Tai Chi Yang family, but she is also adept in other Tai Chi styles. While Tai Chi is one of master Zhang’s specialties, she has achieved a fifth-level in martial arts certified by the Chinese Wushu Association. 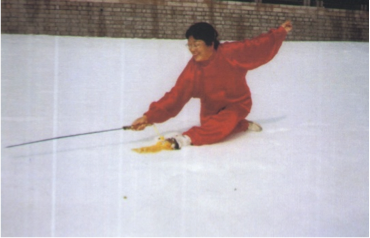 In 2000, she achieved first prize in the China Qingdao International Wushu Championship Tai Chi competition. 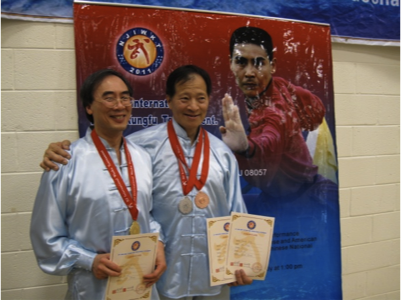 In 2010, Master Zhang was appointed the Chief Judge in the US Open Martial Arts Champion and in the New Jersey International Wushu-KungFu Tournament. 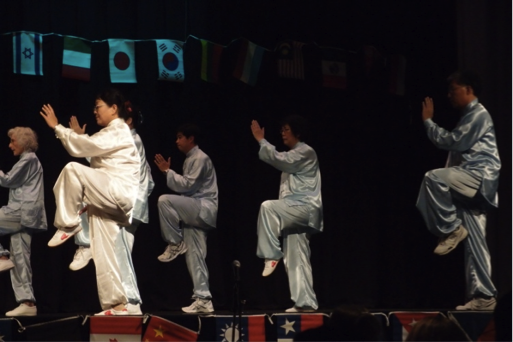 MCS offers various Tai Chi classes on regular school days. is a prescribed sequence of moves used to practice Yang Style Tai Chi Chuan. The Yang style is the most common style that is practiced. This is due to it's continually slow pace throughout the form which differs from the Chen style below which has both slow and fast parts. 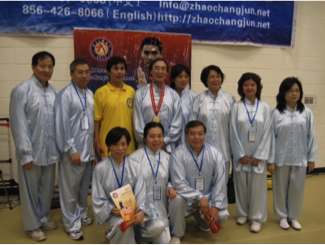 The Tai Chi Fan form was created in 2001 by a group of martial art masters in mainland China for the 2008 Olympic Game held in Beijing. 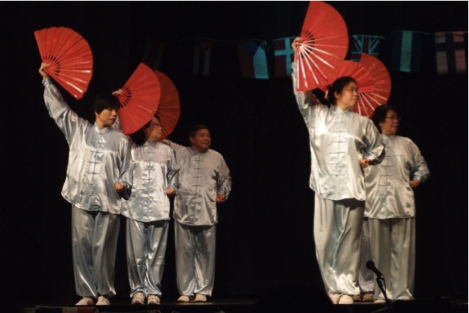 The form is a fusion of movements from Tai Chi, Pekingese Opera and the Chinese Iron Fan dance. As a result, the form is both elegant and magnificently powerful, and is widely practiced by Tai Chi enthusiasts. In 1959, China's national sports bureau created the new and implied version of the traditional Tai Chi, called “Simplified Tai Chi Chuan” also known as "24 Form Tai Chi." The new form was greatly simplified from the traditional form and yet maintained its essence. It soon became very popular in China and the rest of the world for its elegance and simplicity. This simplified form is especially easy to master for beginners, and only takes 5 to 6 minutes to practice the entire sequence of movements. This standardize version enabled competition and judging rules to be created. In 1976 the Combined 48 Forms that were created by simplifying and combining some features of the classical forms from Chen, Yang, Wu, and Sun styles. 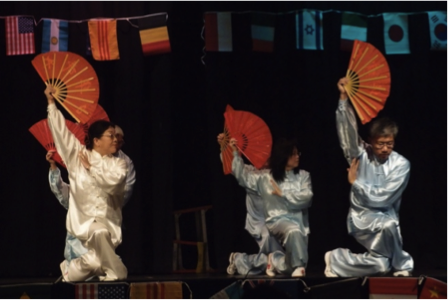 The Chinese Sports Committee went on to develop sets to represent the four major tai chi styles as well as combined forms. Many experts consider the sword the king of short-range weapons. It is relatively small and lightweight. Today, people learn how to use the straight sword for exercise, mind-body development, practice of a traditional art or competition. To learn Tai Chi Sword, the student is expected to have learned certain basic moved in Tai Chi Chuan. By emulating five animals of dragon, tiger, monkey, bear and eagle, this form not only harness their power but also an understanding of the vast store of energy they invoke. Animals are very efficient in their use of energy and power which can make these movements seem subtle on the outside while inside they are very active. Dragon, is represented by ward- off and roll- back. The characteristic of dragon is circular. Tiger which is related to a tiger jumping out of its lair with claws bared and is represented by Push. Monkey has the characteristic of climbing or descending trees with quick footwork and is done with both fair ladies works at shuttles and repulse monkey. Bear is characteristic of round shoulders and hips with large movements of the waist, like a bear moving through the forest. Finally, Eagle soars above its prey and then descends. Eagle is represented by brush knee twist step.